This was Vern’s turn to pick his favourite for Staff Pick of the Week! 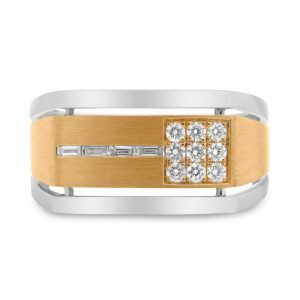 He chose this new Gents’ ROSE & WHITE gold ring. 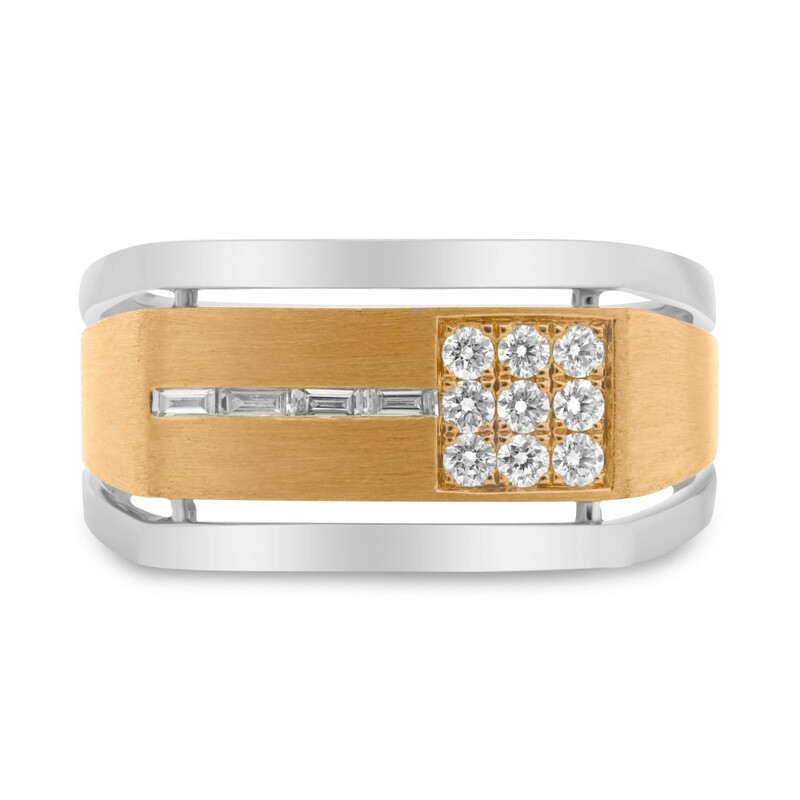 It is so different with both round and baguette diamonds, set in 14KT two-tone gold. Taking pictures of jewellery is difficult. 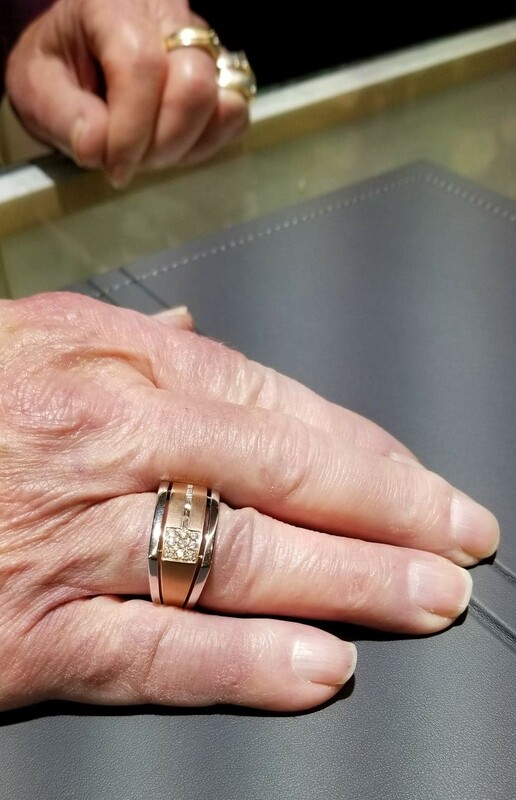 It is hard to show you how good this ring really looks on here. You just gotta see it! !